The shingle color needs to fit the whole picture. Choose carefully, you only get to choose the color once! Since you took your time and hired the right roofing company, your new roof is going to last you a long, long time. That means you will no longer need to worry about those pesky leaks, BUT! You are going to be stuck with that color choice whether you like it or not. A higher quality material is known as architectural or 3D shingle. You will notice that the majority of new roof installations will choose this option as opposed to the older 3-tab style. Architectural shingles have various benefits that make them both a practical choice because of their longevity and added protection, as well as an upgraded ascetic quality that makes the house have the little extra pop everyone is looking for. 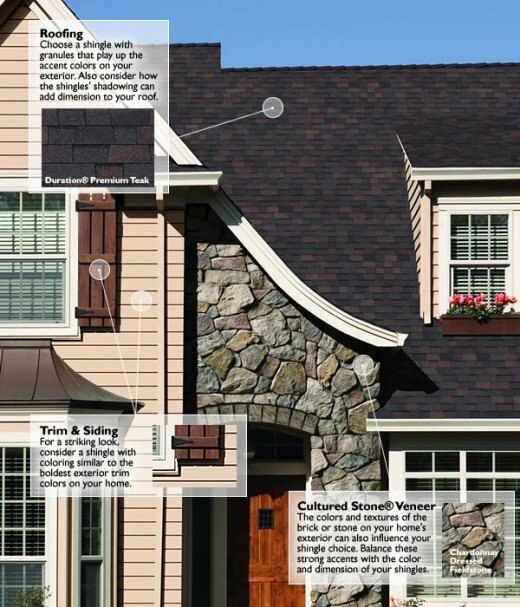 This added shingle dimension lets you play with the shadowing effect on the roof which allows customers to choose a wider range of colors that would not otherwise work as well. A home design that captures your true personality. Choose a color to express yourself. If you are looking to make a statement there are numerous shingles available that use mixed color variations to give a unique and distinct look to the roof. If you are more concerned with playing it safe or are planning on selling the property some time in the near future consider using neutral colors such as pure browns, blacks, and greys. On this note, if you are trying to hide defects you should use low-contrast colors and if you are trying to accentuate certain features go with high-contract colors. If you want to make your house look smaller choose a dark color and if you want are trying to make it look bigger then it is stay with something light. Tie it all together with a coordinated color scheme. Pay close attention to the details. It’s common sense to say that you want all the separate elements used on the exterior of your home to blend together harmoniously, but nonetheless detail needs to be considered. For instance, if you have a white traditional house then you should stick with a dark grey or black shingle. 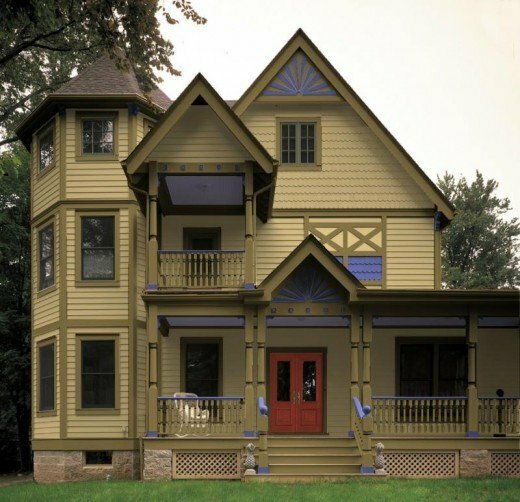 If your siding or trim is brown, tan, or cream in color then you need to choose a shingle color that at least contains an element of brown to it. The harder to dress blue and grey homes need a dark grey or black shingle as well. The remaining green, yellow, and red painted homes allow for a wider variety of choices, so play off any accent coloring or even landscaping. 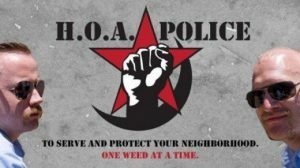 Beware of the HOA bylaws & opinionated neighbors. The last thing you want to happen would be to buy a new roof, only to receive a letter from your neighborhood HOA a week later stating you must now replace it because it is not an approved color shingle. Contact them first to make sure everyone is on the same page, because a mistake like that you will only make once as it is quite a painful and expensive experience to learn from. Another thing to consider is how the new roof will look in comparison to your neighbors home. Did you copy their color exactly? Does the roof color you want contrast too much with what they had installed? Ideally, you want the entire block to look good, so do your best to help make that dream a reality. The often overlooked smaller factors can make all the difference. Energy Efficiency. For most families it is important to save every penny that they possibly can, so when it comes to heating and cooling, no one wants to be throwing money out the window. It may be hard to believe, but your choice of shingle color can make a difference of up to 40 degrees in the attic. 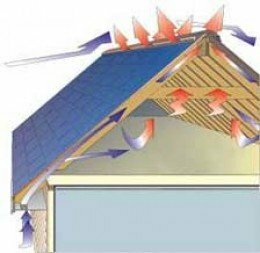 In warmer climates, a lighter shingle color helps to reflect the sunlight off of your home thus lowering the temperature inside. For colder climates such as Michigan, darker shingles could help absorb the heat, thus melting the snow in the winter time. 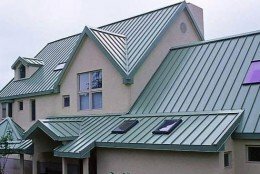 Material can have the biggest effect on the appearance of your new roof. No, I could care less what they think What’s your take?